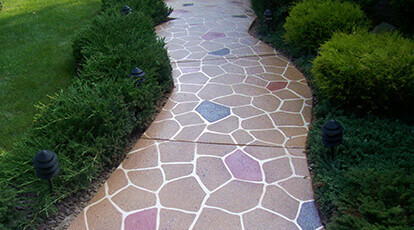 Concrete Coatings Stamp-Tek™ Archives - Concrete Coatings, Inc. 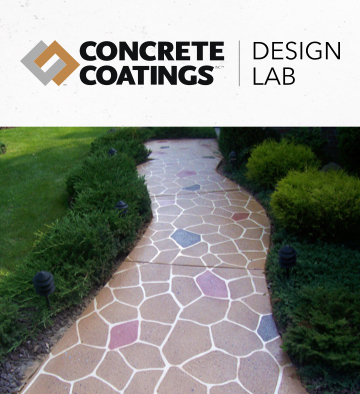 Concrete Coatings, Inc. Stamp-Tek™ Stampable Overlay is a dry polymer mix that creates the look of newly-stamped concrete over existing concrete surfaces. These overlays come in natural gray and work with color hardeners, powdered or liquid releases and acid stains. Stamp-Tek™ Stampable Overlay polymers are already in the mix, so there’s never a question of mixing integrity- just add water. DuraSet™ VAE resin is required as a primer/bonder for this product. Concrete Coatings, Inc. Stamp-Tek™ Liquid Release has a unique blend of ingredients to provide a colorless barrier that eliminates concrete build-up on mats and texture tools when stamping. Stamp-Tek™ Liquid Release evaporates, leaving no residue of any kind. Looks, feels and smells like the reliable bubble gum standby, but the difference will be obvious to the trained professional. Concrete Coatings, Inc. DuraSet™ VAE is a 100% Vinyl Acetate Resin designed specifically as a primer for Stamp-Tek™ Stampable Overlay. VAE resins are a time tested technology and are best known for their adhesion and performance when thicknesses exceeds 1/4”. As a VAE, it is capable of being re-emulsified only one time, allowing subsequent applications to adhere well, yet eventually forming a tough, durable and long-lasting binder or film.